Soft mixed cotton and polyester fabric in washed Dove, Grey, Navy and Pewter colours. Flat yarn with slight knap which is great to handle. Composition: 85% Cotton and 15% Polyester. Rub count 43,000. 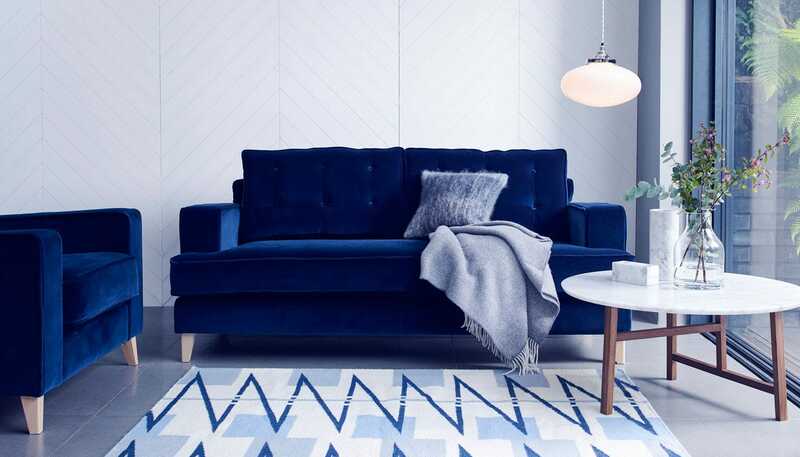 A stunning testament to mid-century furniture, the best-selling Heal’s Mistral elegantly teams 1950s style with a contemporary approach to design. Part of our luxuriously comfortable Mistral range, this refined armchair adds a touch of vintage glamour to the home remaining one of our most popular pieces for over a decade. For more mid-century style ideas, read our Mid-Century Modern Style guide. For more detailed measurements, please see the Specifications below. The fabric is beautiful! And a compliments so far withstands wear tear and well. Was buying to complete a set that i first purchased 8 years ago. The originals haven't faded. Great quality.